Financial Freedom: Why we need a Portfolio? A regular day trader with consistent results, he knew what he was doing. So making profits or doubling investments wasn’t a concern. Scalping, the method in which traders make small profits using slight but sudden move in stock prices, was Shahul’s main technique. He focuses mainly on stocks that have reached their highest price in a year. “What do you do with your profits”, I asked, knowing that his question came from a place of ignorance and that I cannot send my answer to same place. “I spend! Shopping, vacations, you name it!” He was having fun, I could say. But being a Financial coach, I have to set him for goal based investing. “Have you planned out anything for your retirement and children’s college education?” I asked with concern. “I have Rs. 10 Lakhs in Fixed Deposits. I guess that’s enough.” Now, I can say that he was expressing more of a genuine doubt, as he looked at me for reassurance. “You are joking, right?” I asked with a smile. “Even if you consider average inflation, you will need near Rs. 80,000 a month.” I answered. “Rs. 80,000 a month means anywhere north of Rs 1 Crore in fixed deposits or bonds! Oh…… So I get it! It’s to make this amount that we create a portfolio, yes?” Realization is always a pleasurable experience. “Go on. I have heard about more kinds of portfolios.” Clearly, Shahul seems to have opened up his mind now. 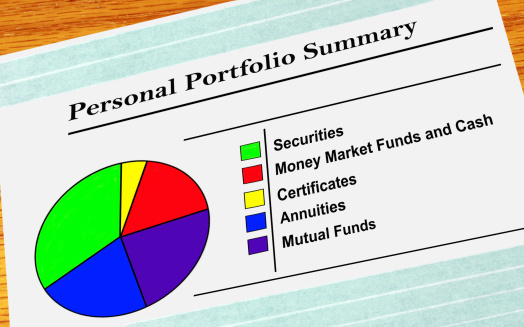 “ Well, the core portfolio is designed to take care of long term goals. So, money left can be exposed to some level of risk, meaning a satellite portfolio of mid-level stocks and sector funds. Only after setting up two such funds should you expose remaining funds to higher levels of risk, that is, penny stocks, swing trades and day trading. This now, would be our aspirational portfolio. See how both of these came in our priorities? This, Shahul, is exactly my point. Stick into asset allocation Principles for goal planning and at the same time, avoid losses by segregating portfolio.” I wondered whether I had made my point clear. “So, I only have an aspirational portfolio right now. Hmm…. I could have messed up, but hey, thanks to you. Got to change a few things, I guess.” Shahul smiled at me. After all, I had made my point, I thought. “Hey, let’s get something to drink.” I tried to lighten the mood. “Oh yeah sure! The best decisions have always been decisions over a cup of coffee!” He laughed, holding my hand firmly. Then I knew, the man had decided to make the change- a change that would make him an investor!